Get your glow on with our Ecco Bella Bronzer powder, a silky formula of Flower Cutins infused minerals fortified with aloe, vitamin E, and green tea. A year-round way to get that sun-kissed glow without the sun's harmful damage. This bronzer comes in our beautiful, recyclable Paperback Compact with mirror and puff. Not sold as refills. Gluten-free. Talc-free. Paraben-free. Fragrance-free. Vegan. For sensitive-skin. A little goes a long way. I was so scared to try a new line I haven’t found a makeup in three years that doesn’t cause me a breakout. I’m thrilled to be able to wear makeup again. Ordered this bronzer in what appeared to be a light shade of pink (Hibiscus). However upon opening it, it was more like a very dark tan and far too dark for my skin tone. Customer service was wonderful in helping me with my return. Just be aware this make-up is very rich and a lot darker than it appears on the website. Aside from that, love this make-up and the rest of Ecco Bella's products. I have neither olive or porcelain complexion, but freckly "uneven" skin tone. I use a tiny bit of this bronzer on my checks because the color is so intensely red/orange. I suppose it's not a bronzer that I would normally choose because there doesn't seem to be a bronze color to it. It's fine for a bit of color on my cheeks, but it won't give the "glow" that some of the other mineral bronzers that I have used. But, the product itself is delightful and light feeling. Hibiscus is a great color that gives my fair skin a sun-kissed glow. I do have to blend quite a bit, but I LOVE the way it looks on. Great product. Color is a bit off. Let me just say that this powder is great so far as feel and texture. It's light, goes on evenly, and lasts a long time. The reason I gave it three stars is because the color is a bit strange. I got it in Sunflower and was expecting a nice bronze color. It is borderline orange in the package and doesn't look much different on the skin. Maybe I'm just too pale for this color? I'm going to keep using it because, if used sparingly, it can pass for tan (and hey, it was $26). But I wouldn't buy this color again. I was hesitant to buy at first because I was worried it would be orangey on my skin. Not orange at all! 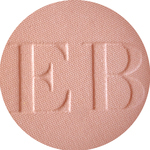 The color is beautiful and works great as a bronzer or blush. So happy with this product. Buildable color, so I think this is great for all skin types.